Medium intensity, from a ripe olive with ripe tones that in the nose, present tastes of fig, tomato, almond and olive leave. IN the mouth, it is sweat taste with tomato touches, soft bitterness and a light spiciness in the throat. 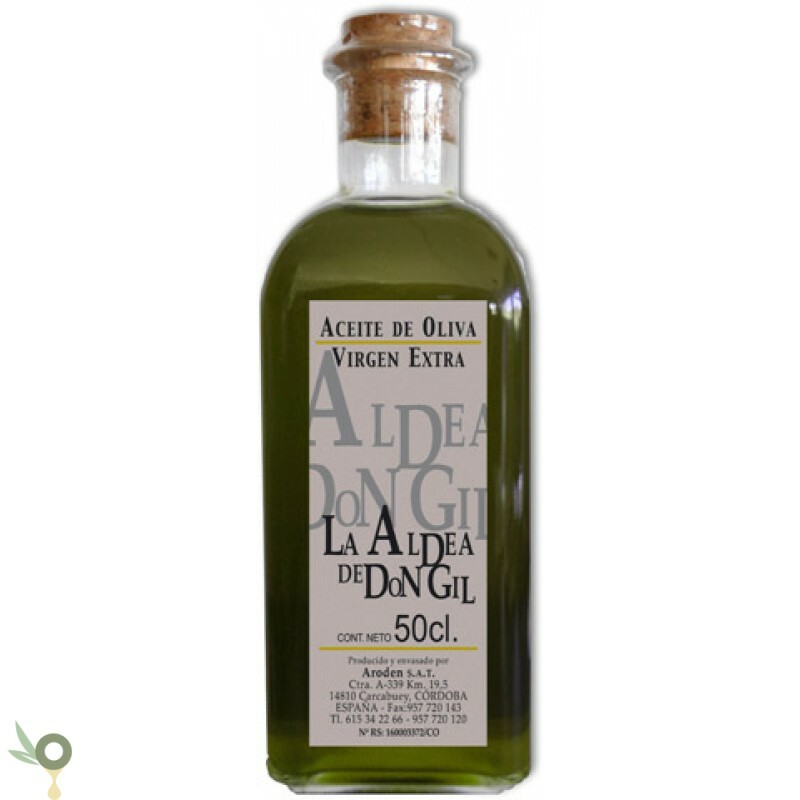 Produced exclusively with healthy olives, and selected from the Picuda, Hojiblanca and Picual varieties, collected from century-old olive farms, La Aldea de Don Gil is in extra virgin olive oil of untouchable quality. 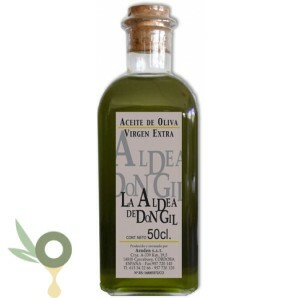 The olive farms from which comes this oil are exceptionally Extra Virgin Oil from Cordoba, located, principally, in the protective domain of the Designation of Origin, Priego de Cordoba, in an exceptionally rich and ecological area, like in el Parque Natural de las Sierras Subbeticas Cordobesas, where the orografic and edafolic climate conditions are very unique for olive production, and create an Extra Virgin Olive Oil of magnificent quality. Maximum acidity level: 0,19%. Production is limited to our own haverst.